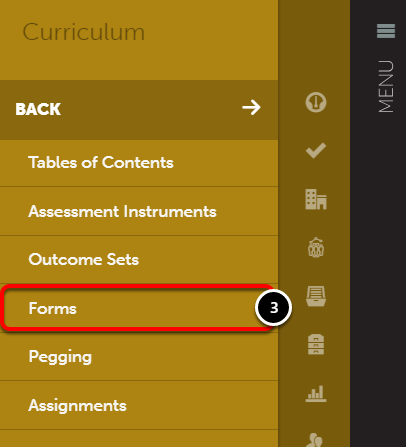 This lesson will teach you how to edit the Form Builder portfolio of a Form. The Form Builder is where you can add, edit, or delete headers, questions, and grids. 4. Locate the form that you would like to edit and click anywhere on its row to reveal its options. Select Edit. On the Edit Form screen, hover your cursor over the heading or question that you would like to edit to reveal its options. Edit: Click on the Edit button if you would like to make changes to the existing heading or question. Duplicate: Click on the Duplicate button if you would like to duplicate the heading or question. Delete: Click on the Delete button if you would like to delete the heading or question from the form. 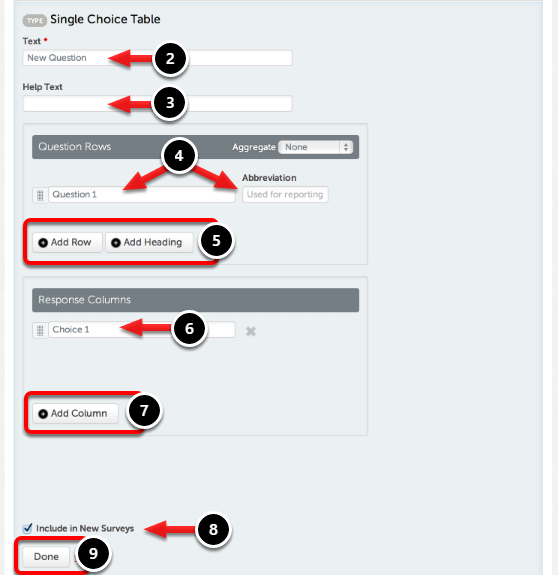 Once you have created your form, you will need to add headings and questions to which your users will respond. Place your mouse on the form where you would like to add a new header, question or grid. Headers are typically used to separate blocks of questions related to the same topic. The Question and Grid options provide you with the same question types to choose from, which may differ depending on the type of form you are using. The Grid options are typically used if a number of questions in a row use the same response choices. 1. Click on the Add Section Header button. 2. Enter a Name for the Section Header. 3. 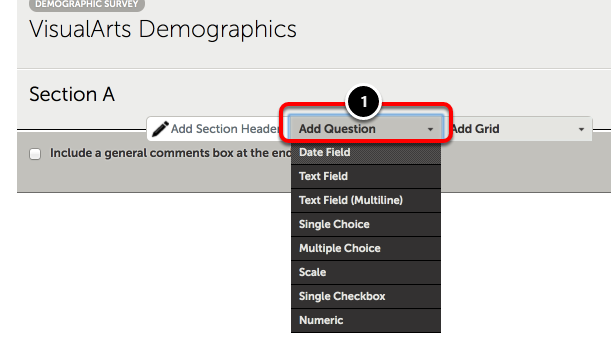 Select whether or not this Section Header will be Included in New Surveys. 1. Click the Add Question button and select the question type from the drop down menu. The Date Field, Supervisor Sign Off, and Numeric options are only available for Journal Templates. NOTE: If you wish to use the Supervisor Sign Off question type, you will first need to ensure that you have created an appropriate Department Contact List and added the appropriate assessors and/or guest assessors to the department contact list. For more information about adding guest users to a contact list, please visit the Create Department Contact List and Add Contact or Guest help pages. NOTE: This step will vary slightly depending on which question type you selected. The question type selected for this help page is Multiple Choice. 2. Enter the Question and Abbreviation. The Question will be viewed by anyone who takes the form, and the Abbreviation is used for reporting. 3. Enter Help Text. The text that you enter here will assist the user in understanding and completing the question. 4. Enter the Response and its Value. 5. Select whether or not you would like to Provide a Text Field for Other. 6. If you have deleted a Response Option, but would like to bring it back, select to Show Deleted Options. 7. 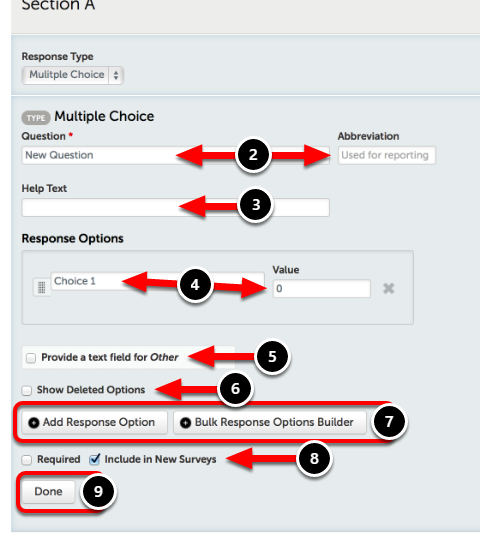 Use the Add Response Question (singular) \Por Bulk Response Options Builder (multiple) to add Response Options. 8. Select if the question is Required and/or if you would like it Included in New Surveys. 9. Once you are satisfied with your question, click Done. Grids can be useful for quickly adding many questions with the same response(s), having the ability to add a total to the bottom of the grid (if answers are numerical), and more. 1. Click the Add Grid button and select the type from the drop down menu. NOTE: This step will vary slightly depending on which question type you selected. The grid type selected for this help page is Single Choice. 2. Enter the Text for the new question. 4. Enter the first Question Row Name, and Abbreviation. 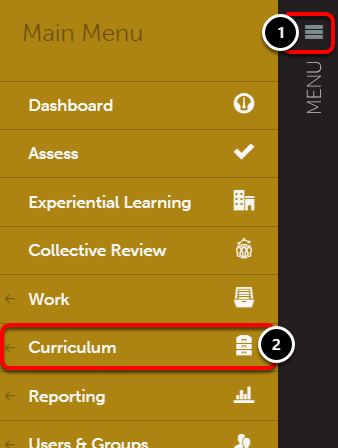 The Question Row Name will be viewed by all users who 'take' the form, the abbreviation is used for reporting. 5. Optionally, Add a New Row or Heading in the Question Rows section. 6. Enter the Response Column Choice. The Response Choice will be one of the options available for selection to answer the question above. 7. Use the Add Column button to add a new Response Choice. Continue to add columns until you are satisfied with the number of responses. 8. Select whether or not this grid will be Included in New Surveys. 9. Once you are satisfied with your grid, click Done.